Jet is a fossil. It is created under high pressure in mud from 135 million years old wood of the araucaria tree family. The black beads of git are not only special because they are so old, but also because they are very large and are cut in a modern way. The beads are oval. The length is 4 cm. At the thickest point they are 3 cm. So the black beads are really big! The apple coral has a beautiful orange | red colour. 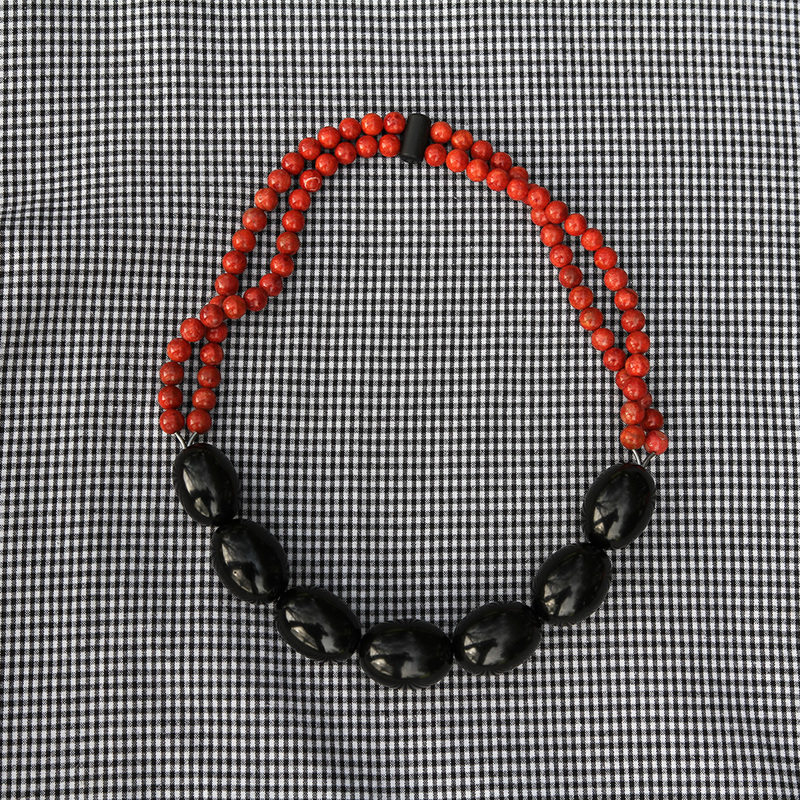 The beads are 10mm. in cross-section. The necklace is 67cm. long. It can simply be pulled over your head. The necklace sits above the breasts. 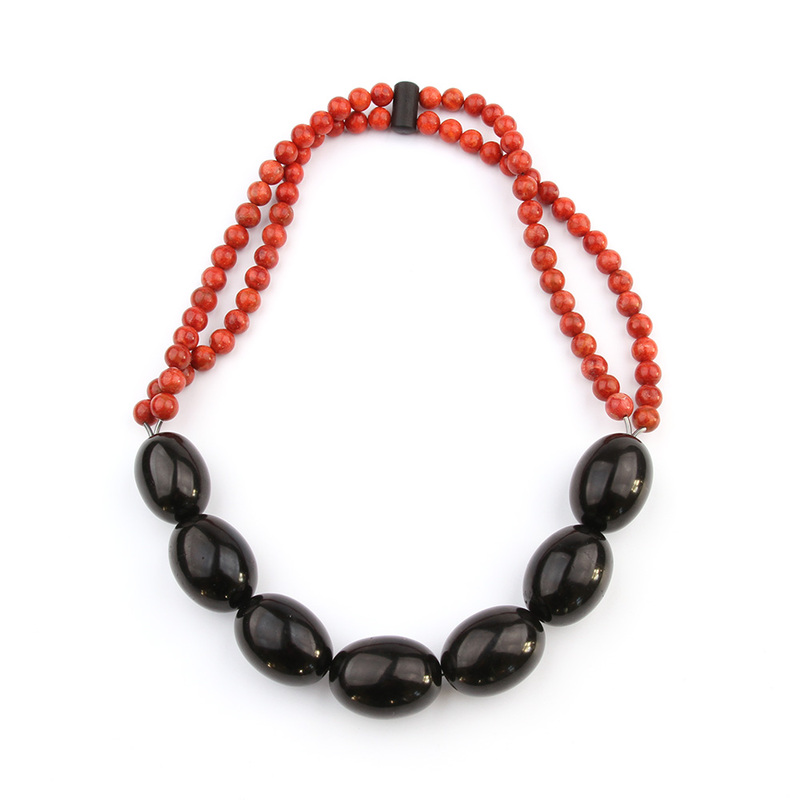 At the back of the necklace the beads are attached in a small piece of ebony. All jewelry is hand crafted in our atelier in Wijnjewoude, The Netherlands. This necklace is made in a small series of 2. All jewelry is for sale in our atelier-store in Wijnjewoude, The Netherlands. Or you can also buy it online and we deliver the goods at your doorstep.